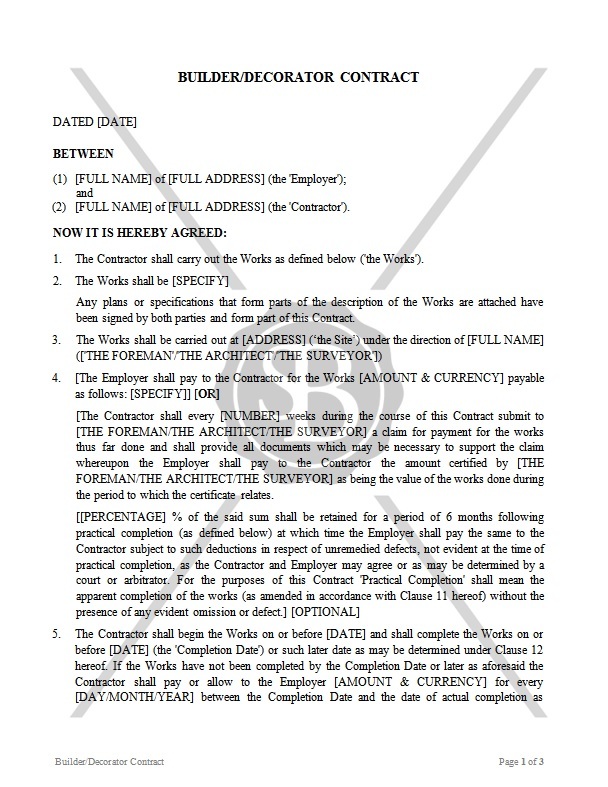 This Contract is concluded between the Employer and the Contractor, who is either a Builder or a Decorator. The Employer wishes to have certain construction job to be carried out by the Contractor. This Contract sets out terms and conditions of the job to be carried out, rights and liabilities of the parties, remunerations, etc.